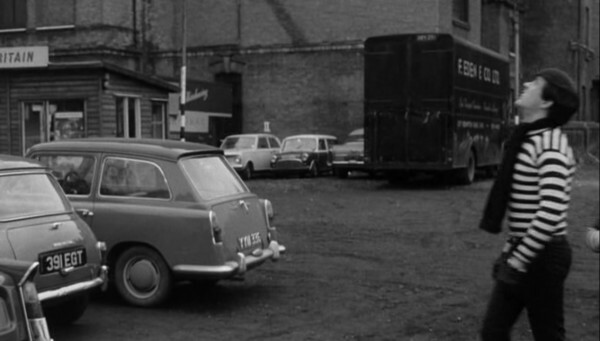 IMCDb.org: 1960 Austin A40 'Farina' MkI [ADO8] in "Catch Us If You Can, 1965"
There is no hatchback car in this picture. Do you mean the Austin A40 Farina MkI? If YYM/YYN = London, late 1960.